With a US passport, the world is open to you. Your US passport is a powerful document that proves your identity and US citizenship and allows you to travel internationally. Our guide will show you everything you need to know about getting a US passport fast. 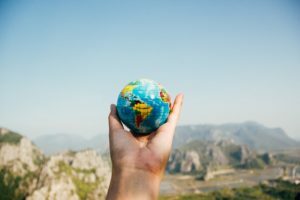 Whether you need to get a passport for the very first time, renew an expired passport, or get a passport for your child, Passportinfo.com has all of the requirements, documents, applications and information you’ll need. We are also your guide to getting the fastest possible service for your US passport. If you need expedited US Passports, we will show you how to get your passport in as little as 24 hours! Everything you need to know to get a new adult passport. Renew your passport the quick and easy way. Special passport service for children age 15 and under. Don't let a lost passport keep you at home – get it replaced! Running low on blank visa pages? Add more pages to your passport. Learn how to report your stolen passport and get a new one. Update your passport to your new legal name. Frequent traveler? You can get a second valid passport to keep you on the move. Whether you are applying for a passport for the very first time, need to renew an expired one, or have to get a passport for your child, Passportinfo.com has all the passport requirements, documents, applications, and information you’ll need in one comprehensive resource. Need to add pages to your passport? Update your information after a name change? Replace a passport that’s been lost, stolen, or damaged? We can help with that, too. 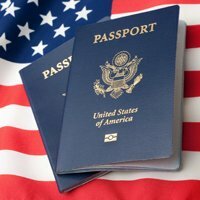 Passportinfo.com is your guide to getting the fastest possible service from the U.S. passport office and professionals who can assist you with your application. Our resources can also be a reference for other passport-related needs and help you understand the processes associated with U.S. passports. Most importantly, if you regularly travel to other countries, make sure you don’t let your passport expire. In standard cases, the process from sending the application to receiving your passport takes weeks, so try to plan ahead when possible. If something comes up last minute and you don’t have a valid passport, choose a reliable expeditor to get a new one within a day.